IHeart Organizing: IHeart a Great Giveaway - Baby Cargo! 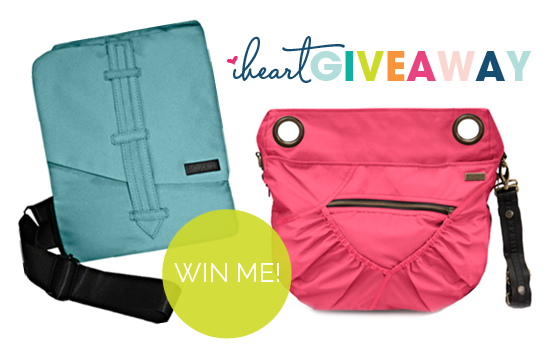 9 IHeart a Great Giveaway - Baby Cargo! Although our kiddos are growing like weeds and have gone from diapers to baseball cleats overnight, many of my family members and pals have been catching baby fever. It has been so interesting to see how baby gear has evolved over the years; strollers are getting lighter, car seats have become safer and diaper bags now have more options and pack more storage punch than ever. When I placed my eyes on the bags offered up in this week's giveaway, I may have been bit by the jealous bug.... Where were these awesome bags 10 years ago?! Sigh... Say hello to Baby Cargo! 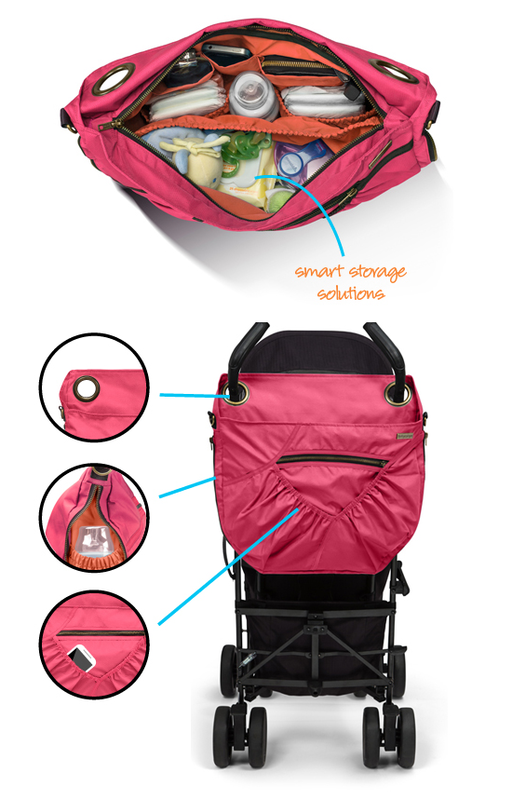 Baby Cargo bags are designed to make life easier on the go with kiddos. With pockets a-plenty, zippered pouches, and cargo wells, you’ll have your world within reach whether you’re out for an hour, or a whole rip-roarin’ day. Today, Baby Cargo is offering up a great giveaway in which two lucky iHeart Organizing readers will win a beautiful, versatile bag to organize baby essentials galore. First up, the Fiona Bag! Flip-flop and fly through your days with this easy crossover purse/diaper bag in one. The Fiona mini-bag is a fun fashion statement that crosses your heart to leave your hands free. 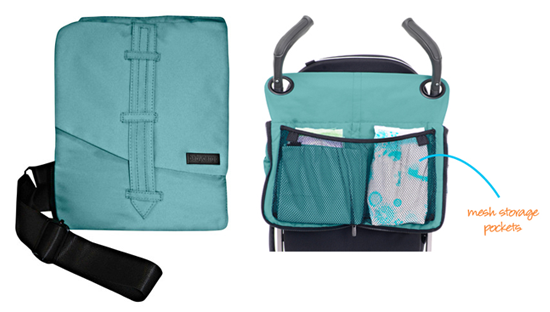 Unzip it flat to reveal double-sided storage pockets for diapers, bottles and other must-haves on the go. Its pretty matte black metal grommets sit comfortably on your umbrella stroller handles and its sturdy shoulder strap snaps to your full-service stroller bar. And with four signature style-forward colors to choose from, you’re free to go (anywhere baby wants). And the super chic Georgi Bag! With the ingenious Georgi bag on hand(le), your bottles are stowed, your hands are free, and your “put together” style quotient just went up. Brass details like grommets that slide smartly over your umbrella stroller handles and stylishly zippered seams lend heft and style, at once. But what transforms Georgi from fashion item to stroller bag “must” is versatility: beautiful lightweight fabric, a sturdy shoulder strap that snaps to your full-service stroller bar, and a wealth of pockets mean everything stays neatly in place. Ready to win one of these beautiful bags for you (or a friend)? 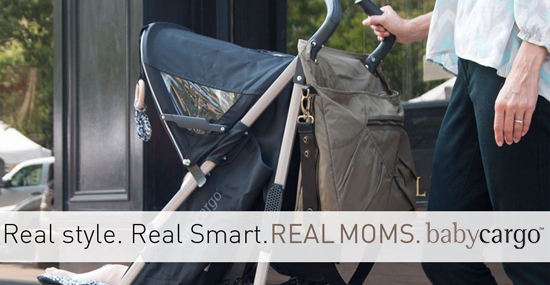 IHeart Organizing readers can now receive 15% OFF Fiona and Georgi Bags using code iHeartBC at BabyCargo.com. Good luck everyone! IHeart Organizing official giveaway entry rules can always be found here. I wish I had the Georgi bag back then, I really like the design !. Ummmm YES PLEASE!! How cute are these bags?!?! I never really liked any of the diaper bags out there and I use a small backpack when I am on the go but this would be awesome for days at the zoo or Disneyland where I can have something that would attach to the stroller and allow me to still walk behind it! LOL! Yes please! Baby girl due any day! Just bought an umbrella style stroller, storage is minimal...this looks like a perfect accessory for hold all the on the go necessities!! !